Murphy Supervises The Construction	Great Spirit Comic Books! I didn’t want to post the image here without Rip’s kind permission, but he granted that just now and I’m pleased and honored that he did. The title of this blog entry is from a series of bumper stickers that my old friend John Pearse used to give away when someone bought his guitar strings or accessories. Lord knows I bought a bunch of both, and once even bought a high-end Martin guitar from John, but the sticker he created is what’s on my mind today and John may have had the Guthrie family in mind when he wrote it. 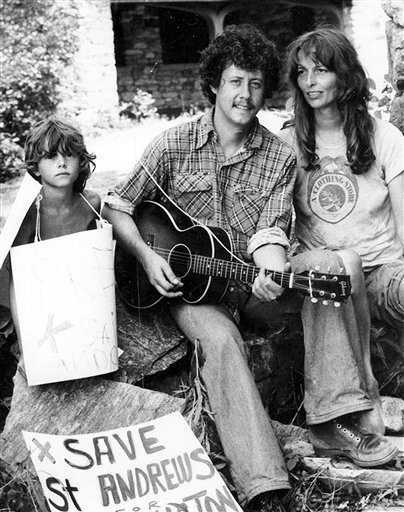 It seems to be very apt when considering the passing of Arlo Guthrie’s wife, Jackie. 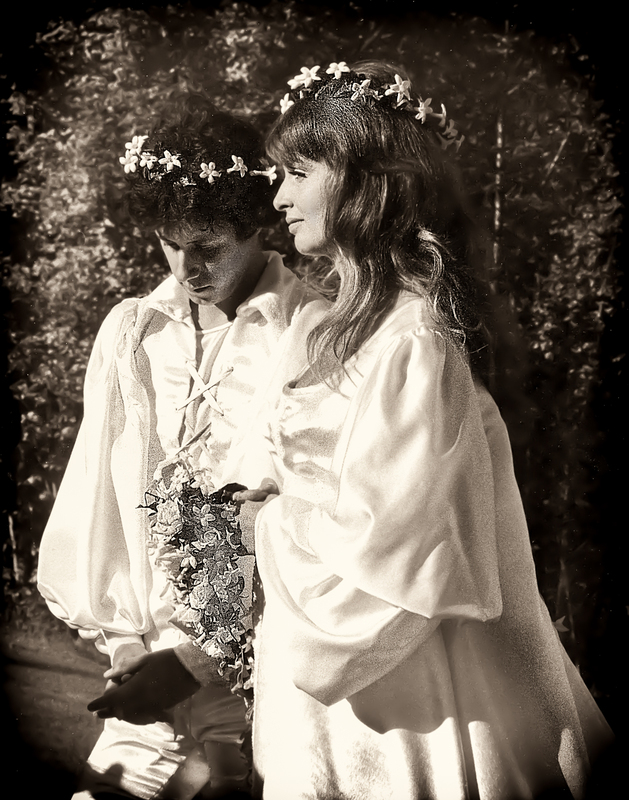 They were married for over 43 years. The Guthrie family has consistently used music as a way to make the world in which they found themselves a more human, more kindly place. What they had to say may not have always been politically correct, and I may not have agreed with every position the various members of the Guthrie family took, but no one could say that they didn’t do more than their share to help others find happiness and peace. 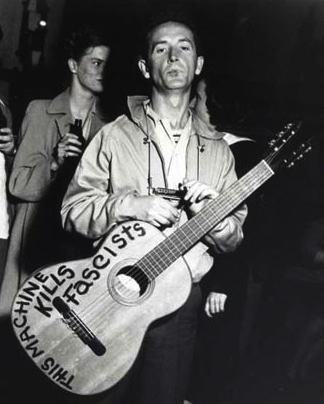 Woody Guthrie’s famous statement, placed prominently on his guitars, remains a touchstone for why many people picked up the instrument in the first place. 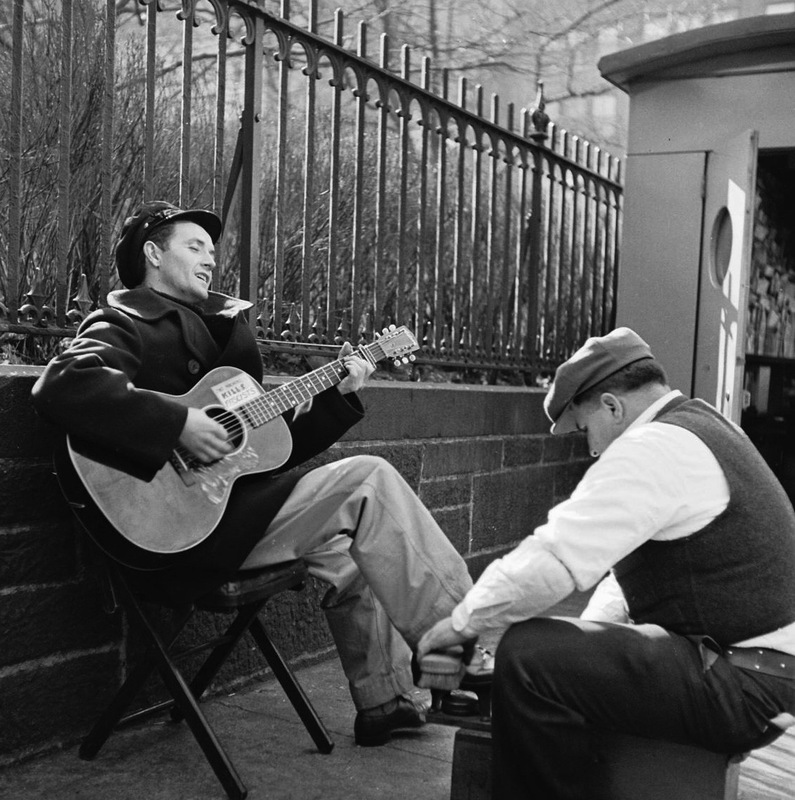 Woody’s musical and philosphical DNA has spread over much of the world and many folks may not even be aware of it. But they owe him. 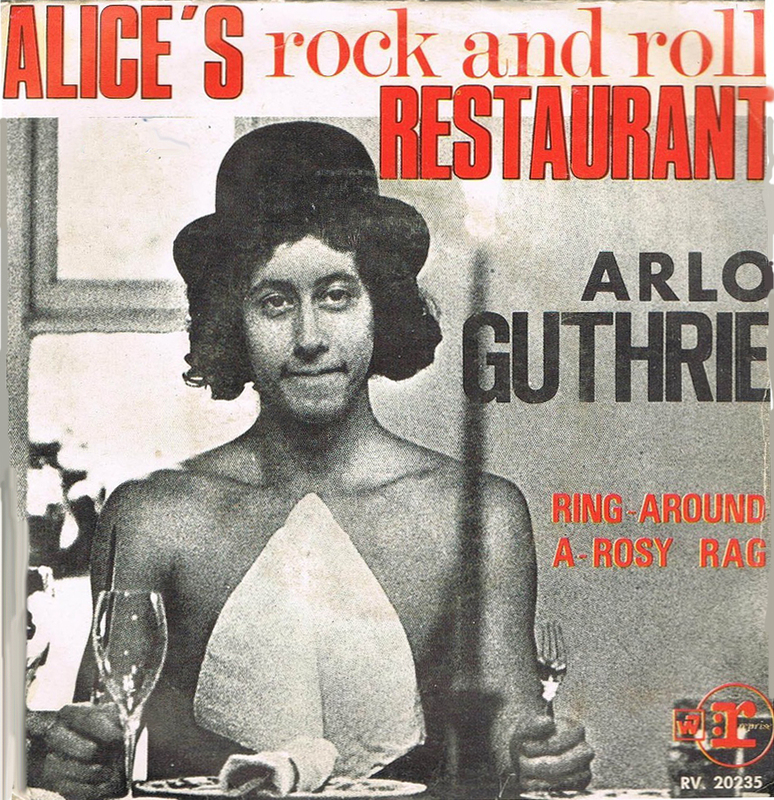 Arlo came into most of our lives through his wise and witty 1967 song, Alice’s Restaurant, properly titled Alice’s Restaurant Massacree, and that song was a breakthrough on many levels. It was funny, fact-based and a fingerpicker’s joy. So infectious and joyful was his playful delivery that it may have masked the more serious message of his words: Official America can sometimes be a blind lumbering beast that can step on people unless someone shouts a warning. I recall playing that record for my dad, who had no taste or interest in music and was an outspoken opponent of the “hippy” movement or anything that smacked of a lack of respect for authority. Dad tried hard not to laugh as the song progressed but at the mention of “mother stabbers and father rapers” he surrendered and enjoyed himself and the song. I couldn’t believe it. Dad had let his short hair down, if just for the duration of a song! Their world is our world and it’s a wonderful place to be.